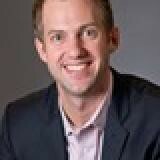 Matt Feodoroff is Vice President of Strategic Sales, Buyer Cloud at Rubicon Project. As such he is responsible for growing Buyer Cloud’s programmatic advertising business across video, mobile, social, and display. Feodoroff joined Chango Rubicon Project in October of 2014. He was previously with Microsoft where he served as Director, Xbox Advertising. His team brought to market the various entertainment-advertising offerings available across Xbox LIVE, Windows, and Microsoft Studios. Prior to this role, Matt was a Sr. Account Executive for Microsoft Advertising working with clients in the automotive, financial services, and CPG verticals to execute multi-channel advertising campaigns across Microsoft Advertising’s portfolio. Matt has held strategic positions within the interactive advertising and digital marketing industries for over 15 years. Matt holds a BA in Economics & Business from Lafayette College. He lives in Chicago with his wife Katie, daughters Chloe (6), Britain (1) and son Chase (3).